Worship of Bhagavan (the Lord or God) is one of the two central themes of Sanatana Dharma, the other being righteousness. It encompasses a wide variety of activities ranging from direct prayer to rituals to dance and drama. It involves invoking higher forces to assist in spiritual and material progress and is simultaneously both a science and an art. People perform worship to achieve some specific end or to integrate the body, the mind and the spirit in order to help the performer evolve into a higher being. Because there are so many varying types of worship and ways of worshiping the Lord, they are classified into different categories and types based on the cause of inspiration, approach to worship, and/or the method of worship. Worship involves invoking the presence of the Divine and assumes that Bhagavan can be perceived in diverse ways and approaches. Bhagavan can be seen as personal or impersonal, human or not, etc. He can be approached with awe, reverence, joy, affection, or even love or friendship through puja, yagna, bhajan, or simply longing. Worship can be performed individually, as a family or group, and/or as a community. It can be performed at any time and in any place. There is no requirement of a certain time or place -- however, certain times and places are considered more auspicious and conducive to such activities than others. Worship is a token of affection towards divinity. The divine is the closest and the most private relative of man, and this is a way to express one's gratitude to Bhagavan. Just in the way a parent nurtures the child irrespective of whether the child says "thanks" or kisses the parent, Bhagavan still takes care of our evolution. But just the way a child spending a good amount of time in the parent's lap every day never starves for anything, the devotee who sits in the lap of the divine consciousness never starves for anything. The parent is already there to take care of us, so there is no need to starve for anything as such. But all the difference is in knowing that the parent is there. The child who thinks he is not getting something he wants, and a child who thinks he gets everything from the parent, do not differ in their success - the parent causes their success in either case. They differ however, only in the quality of their happiness, their confidence, their craving for desires. One who rests his desires on Bhagavan alone has nothing to desire - because he knows he already has everything. The act of worshiping Bhagavan in order to obtain something is like when a child cajoles his mother with kisses with the intent of getting something. The act for the child is enjoyable regardless of the purpose. While the bliss is not directly experienced, because the focus is on the object of desire, it still exists. Through a process of evolution the worshiper slowly moves his attention from the object of desire to the experience of love. Then the insignificance of the desire is realized; the worshiper recognizes that the happiness resulting from the object of desire is infinitesimal in comparison to the happiness in the mother's love. And he then seeks to sit in the mother's lap and does not seek anything else. This is what happens when one keeps worshiping - sakama (worship with desire) becomes nishkama (worship without desire) over time. One does not have to suppress desires, but one has to worship with sincerity even though seeking something. Worship can be performed at any time and frequency. While nothing is required, it is recommended that a regular frequency be chosen in order to develop devotion and positively influence life. People typically choose to worship in the morning or evening, and sometimes on their way to or from work, in addition to participating at major festivals at their local temples. There are, however, several types of worship which have rules and requirements. Worship that is undertaken to achieve a specific purpose or particular observance. During diksha, there is a commitment for a specific period of time along with specific austerities and conduct in order to achieve the particular goal. The goal of diksha is to inspire the performer to remain in a state of devotion beyond the period of diksha. In addition to nitya and diksha, there are specific days which are considered auspicious and have specific kinds of worship associated with them. These days are usually associated with major festivals-such as Krishna Janmashtami, Ganesh Caturthi, Siva Ratri, Vijay Dasami, etc. 2. Arti – the greeting ceremony with lamps, etc. 11. Seva – active service, to the ashram, a deity, holy people, etc. There are may different approaches to worshiping Bhagavan. Each is valid and complete in its own right and capable of uplifting the worshipper and enabling him to reach his goals. 3. Dance - worship is performed in the form of a dance. This is typically seen in temples and the five forms of classical dance, which have their roots in this type of worship. 4. 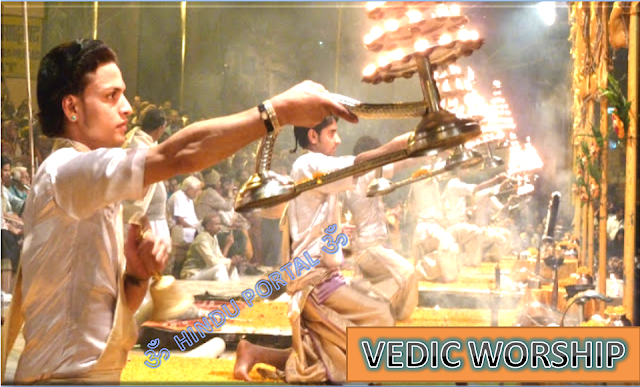 Physical - worship that includes physical offerings, homa or yajna, etc. There is no specific location that is required to perform worship, since everything is Bhagavan's creation. Most people choose to perform worship at temples or at home. Many choose to perform their worship outside in the open or even underground. Renunciates typically prefer to caves, riverbanks, or sitting under banyan trees. These places are recommended because they have an atmosphere which aids the worshiper in his spiritual evolution. Inspiration to worship usually comes from three sources: personal desire, the wish to propitiate a devata, or simple love of Bhagavan. Tamasic desire resulting in worship typically has the worshiper praying to fulfill base desires and dispel fear. Rajasic desire resulting in worship typically has the worshiper praying for things like a better life, material wealth, etc in order to fulfill ambitions. Satvik desire resulting in worship typically has the worshiper praying for things like a peaceful life, world peace, betterment of others as well as to cleanse past karma. In this type of worship, the most important thing for the worshiper is the desired result of the worship. Daiva Yajna is a type of worship arising from the desire to propitiate certain devatas. This is done to remove bandhana, or debt. In this form of worship, the inspiration is a wish to do one's duty and not personal desire or devotion. In this kind of worship, the act of worship is given primary importance. The third type of inspiration is love and devotion to Bhagavan. This is considered to be the best type of inspiration and the actual state of devotion is the primary purpose as well as larger goal. The actual act of worship depends on the worshiper and his personal, spiritual evolution. The act can be categorized into tamasic, rajasic, or satvik in nature. Tamasic worship is typically outward. The austerities involved are rigorous. The expression of worship is through the suppression of instincts. Offerings made to the Devata, such as food also tend to be tamasic in nature because while, the worship is sincere, the worshiper is ignorant of the workings of consciousness. Satvik worship tends to be inward focused. The attempt is to understand the nature of deeper levels of consciousness, to awaken them, to master the mind, to win the instincts instead of suppressing them. Due to its inward nature, worship tends to be more symbolic and less rigid. Rajasic worship is the phase through which the tamasic worship evolves into satvik worship. Beyond these modes of worship, there is yoga, where there is no distinction between seeking, seeker and the sought. At which point, none of the three modes of worship described above apply. The act of worship requires itself requires the usage of Mantra, Yantra, and Tantra--loosely defined as sound, mind and body, and objects. These things can be used in a variety of ways and combination depending on the specific type of worship being performed and the desired outcome. Be it a complicated form of vedic ritual such a yajna or some simple form of worship, the process of worship invariably involves the use of three basic techniques, namely the mantra, the tantra and the yantra. A mantra is an invocation, containing a sacred syllable or set of syllables. When a mantra is uttered with specific rhythm, with sincerity of devotion and purity of thought and action, and with phonetic and grammatical accuracy, in a manner prescribed by the scriptural injunctions, it is believed to invoke a particular deity and compel the deity to assist the invoker to achieve a desired end. 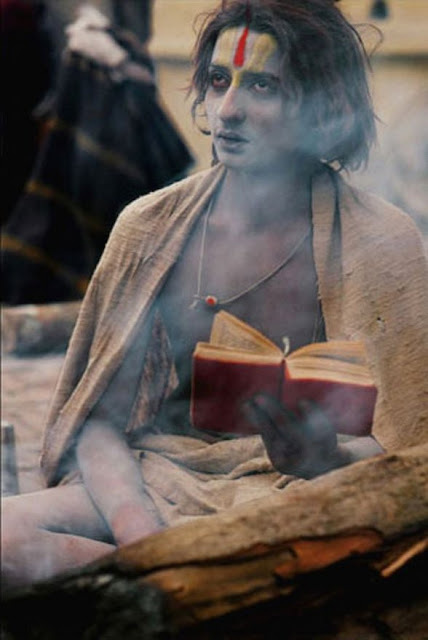 When a complicated ritual such as a soma sacrifice or some other yajna is performed, not one but many deities are invoked simultaneously by groups of priests chanting various mantras. Their chanting creates the necessary vibrations in the atmosphere to awaken the deities and facilitates their descent to the place of worship. Hidden in each mantra is the energy of a particular deity which remains normally latent, but becomes active the moment the mantra is pronounced accurately in the manner prescribed by the shastras. The divinity awakens only if the vibrations generated by the chanting matches with its basic frequency. The appropriate use of tantra and yantra must fit in the overall purpose of the worship and remain in harmony with the expectations of the divinity to whom they are directed. Tantra is the systematic use of the body and the mind as the physical instruments of divine realization. The body and the mind constitute the lower self and together they aim to indulge in the desire-oriented actions of the lower self to perpetuate the interplay of the three gunas, namely, sattva, rajas and tamas. Primarily, they are the chief instruments of the divine Prakriti, otherwise called Maya, and they play their dutiful roles quite efficiently and effectively and succeed mostly in keeping the soul tied to the earth and thus go through the ordeal of births and deaths by the inexorable law of karma. 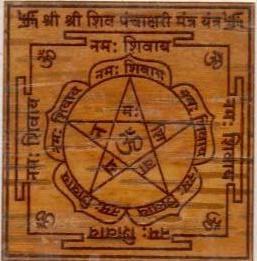 Yantra is the use of certain external objects, symbols or some mechanical means to worship the divine. The act of folding of hands in front of the deity is but a kind of yantra only. The manner in which a fireplace is built for the performance of some vedic sacrifice, the method in which the place is prepared and the materials are assembled, the manner in which the oblations are poured into the fire, the way the priests sit around the altar, and in fact the very act of chanting of the mantras with mechanical precision form part of yantric worship only. The very design of the temple as an outer symbol of the existence of the Divine on the material plane, the act of visiting the temple, circling around the temple, entering the temple, the lighting of the lamps in front of the divine, the decorations and the ornamentation so characteristic of temples and places of worship, the manner in which the images are built and installed, the lighting of the lamps, the offerings, the method of worship, the partaking of prasad, and in short any practice that is mechanical, symbolic and ritualistic to a degree, form part of this approach only.